Viera Insurance Agency, Inc.: Why Are Florida Homeowners Insurance Rates So High? Why Are Florida Homeowners Insurance Rates So High? Even though Florida hasn't been devastated by a major hurricane since 2005, we still have more other natural disasters than other states. Thunderstorms, hail, tornadoes and sinkholes are all more common in Florida. Sinkholes, in particular, are extremely costly for insurance companies. These events contribute to the high cost of reinsurance. Reinsurance is the extra layer of protection that insurance companies purchase to pay catastrophic losses. It's your insurance company's insurance policy, so to speak. The 2010 wind-estimate model developed by Risk Management Solutions was a significant departure from previous models. This new model shows that Florida insurers are much more vulnerable to wind losses in inland Florida counties than previously thought. In response, Florida insurers increased the amount of reinsurance they carry. Higher reinsurance costs get passed along in the form of higher premiums. AOB is a mechanism by which homeowners sign over their insurance policies to the contractors performing the repairs. The system is rampant with fraud, with many contractors attempting to pad or falsify claims in order to collect from insurers. Even worse, in Florida, when lawsuits are filed in these cases, the insurance company is typically responsible for attorney's fees. Increased costs associated with AOB claims and lawsuits are a major problem in the Florida market. The 2004/2005 Atlantic Hurricane Season changed everything about the Florida market. National insurance companies left the state entirely, and many smaller, Florida-based companies folded altogether. As a result, premiums increased due to lack of competition (and the recent hurricanes themselves, of course). A few years and no major hurricanes later, brand-new insurance companies began cropping up in Florida. By 2015, the market was saturated, and rates were artificially low, sometimes dangerously low for the level of risk. This was an attempt by new companies to build their book of business quickly. For some, it backfired. For others, they gained a foothold, but they had to increase rates to do so. 2. Have a Wind Mitigation Inspection: That newer roof that we mentioned will have wind-resistant features that will save you money on your policy. 3. Consider increasing your deductible: A $2,500 deductible might be a significant savings over a $1000 deductible. 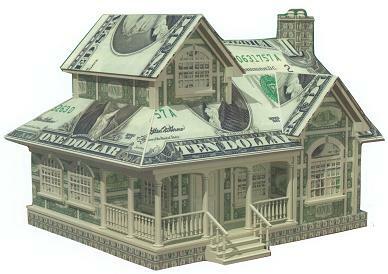 We know homeowners insurance in Florida is expensive and complicated. With over 50 companies to shop for you, we are here to help! Get New India Two Wheeler Insurance online at lowest premium online. We are a local Disaster Restoration Company that provides emergency services for Residential and Commercial Properties in the Sarasota and Manatee county areas. Key Cities are Bradenton, Sarasota, Palmetto, Venice, Lakewood Ranch, and Osprey. We are Mold, Water, Odor, Cleaning Specialist. Detail Cleaning Company. For more information visit here https://servicemasterrestoress.blogspot.com/2019/02/fire-and-smoke-damage-and-restoration.html.